Swingline GBC DX20-19 cross cut paper shredder shreds 20 sheets per pass into 5/32" x 1-3/4" cross cut particles (security level P-3) and features a wide 10" paper entry. 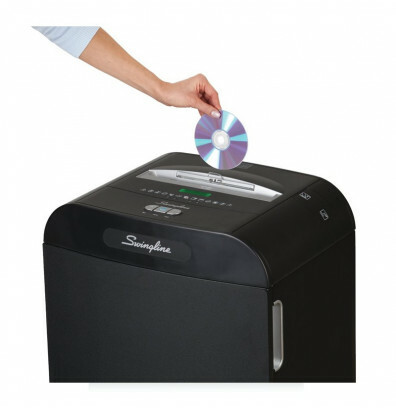 Capable of shredding staples, credit cards, paper clips, CDs/DVDs, and junkmail. Destroys documents that need to remain secure. Recommended for larger environments of 10 - 20 users. 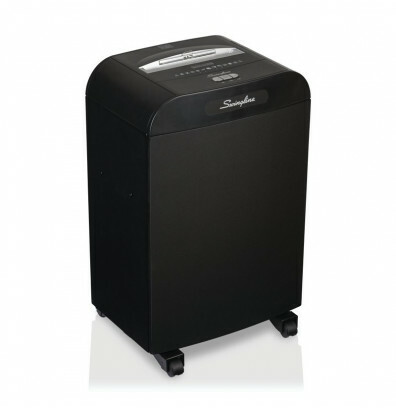 The DX20-19 shredder offers continuous duty run time for a faster rate of shredding. Auto-oil feature automatically lubricates cutters with synthetic oil to ensure cutters move freely and shred easily. Intelligent power save shut down with automatic wake-up conserves energy. 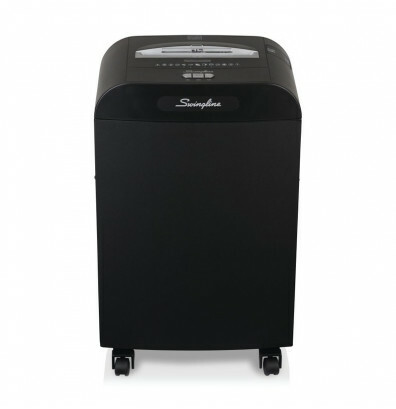 This cross cut shredder features enhanced office safety and energy efficiency. 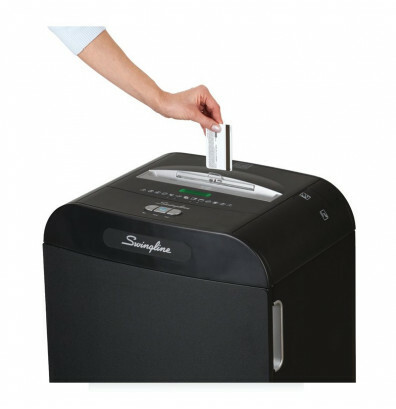 Equipped with jam free protection, the DX20-19 shredder is able to run without risk of jamming; a red light will illuminate to warn when there is too much paper inserted. Self-cleaning mechanism automatically remove shreds that cause build-up and lead to jams. An efficient 19 gallon pull-out bin makes for convenient refuse storage. Additional shredder bags and oil bottles available. Please Note: For up-to-date warranty information, refer to Warranty noted above or below this video. Meets CSA/US certification laboratory product safety standards. The amount of sheets that can be shredded per single pass. Cross cut shreds paper into 5/32" x 1-3/4" particles. Security level P-3. Automatically lubricates the cutters for better performance and shredder life. Designed to work for hours on end without overheating. 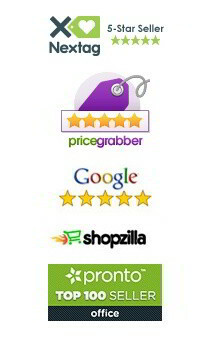 Recommended for 10 - 20 users. DX20-19 shredder, user manual, and 2-oz bottle of oil. Cut Size: 5/32" x 1-3/4"